Funding for roads and bridges in King County has been dwindling for years, and despite warnings as far back as 2014, money for capital investments in unincorporated areas is still set to run out within the next six years. The scope of the problem has been well documented in various studies, including the 2017 annual bridges report released last August. The county owns or maintains 182 bridges that range in age from 10 to 100 years old, with the median age being 65 — or 15 years older than their typical useful lifespan. Due to declining revenue between 2012 and 2018, no new standalone bridge replacements have occurred since 2014, and work is focused exclusively on daily safety and maintenance work, the report found. 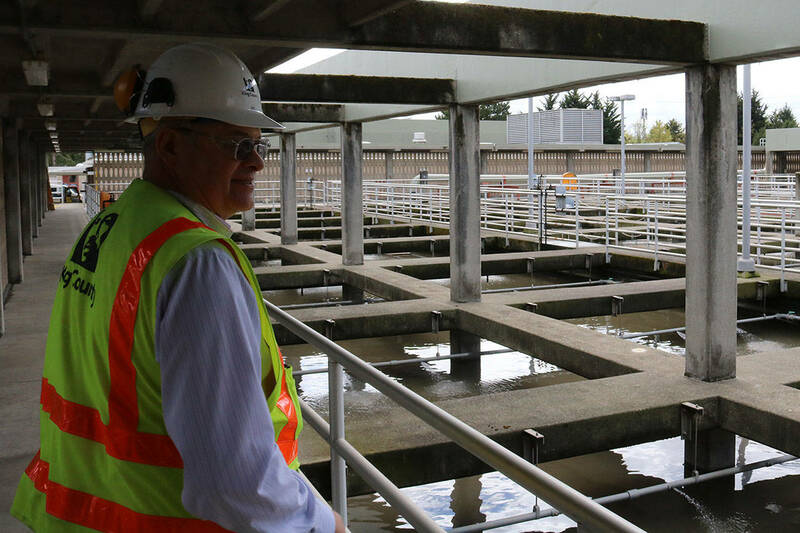 King County Local Services department public information officer Brent Champaco said when money for capital improvements runs out, other basic maintenance and operations services will be reduced to stay within budget. King County Councilmember Kathy Lambert has been taking a leading role brainstorming ways to address the funding shortfall. The county found in 2014 that its roads and bridges program was underfunded by roughly $250 million annually. An independent analysis from 2015 found the deficit to be even higher. The analysis by BERK found the county could use up to $500 million each year to fully fund transportation infrastructure projects. In the 2019-2020 county budget, which was approved last December, the county was able to allocate $108.2 million each year. The budget found that within the next seven years, the county’s Local Services department will have to eliminate its capital program if additional revenue isn’t secured. “Starving the roads and having them all turn to gravel, or the bridges falling down, is not a viable solution, and at this point unless there is county and state action to prevent that, that is where we are headed,” Lambert said. By 2040, the effects could be felt even more acutely because it’s expected that 72 miles of county roads may go to gravel and multiple bridges could be closed. For Lambert, the root of this problem can be found in the state’s Growth Management Act (GMA), which was passed in the early 1990s. Unincorporated King County has around 250,000 residents living outside of cities. Since the GMA was passed, there has been an emphasis on cities annexing areas within urban growth boundaries. While this has had the intended effect of increasing density and managing urban sprawl, it has also left the county strapped for cash — with a smaller tax base and little sales tax revenue. A 2019 statewide infrastructure report card compiled by the American Society of Civil Engineers said the primary revenue source for county transportation infrastructure is property taxes. The county’s current budget executive summary further states that roads are supported primarily by property taxes, a share of the state’s gasoline tax, and occasional grants. A 2016 county task force report found that because of the way the GMA has played out, most business growth has been confined to cities, leaving rural people living in lower property value areas without businesses to raise revenue. Half of the trips on high volume country roads came from cities and other counties. Around 40 percent of Snohomish County workers commute to jobs in King County, and around 28 percent commute from Pierce County. To try and address the budget shortfall, the county has reduced its staff by around half, shuttered facilities, decreased costs, and partnered with other agencies. Still, the report found, the county is restricted by a decline in revenues and statewide restrictions on raising property taxes. Lambert said other counties across the state aren’t being hit as hard as King County, which has around 11 percent of its population living outside of cities compared to more than 20 percent in Snohomish and Spokane counties and more than 40 percent in the rest. This results in other counties having a larger tax base to support basic infrastructure. The fact that roads cost exponentially more to repair the longer they are allowed to degrade lends more urgency to finding a funding solution, she said. A study commissioned by the state in 1994 found that as unincorporated areas lost population through incorporations and annexations, the county would have less revenue to pay for roads, and the tax burden to remaining unincorporated residents would tend to increase. “The historical rise in King County direct debt indicates that the county will face problems trying to meet future capital needs,” it said. This was compounded in the early 2000s when a statewide initiative pushed by activist Tim Eyman limited annual property tax increases to 1 percent without voter approval. This was coupled with a severe decline in revenues during the recession, which Local Services spokesman Brent Champaco said reduced property values by around 40 percent. However, even the 1994 study noted that the county’s revenue base was not structured in a way to address the needs of developing and maintaining transportation infrastructure in unincorporated areas. Lambert said there are some ways the county could secure funding for its roads and bridges. One would include creating enterprise zones where the county would actively recruit businesses to unincorporated areas. This would generate more sales tax that could be put toward infrastructure. Lambert said the county could also ask the state Legislature to change its revenue formula to direct more funding for rural roads. Current law states only people who live in unincorporated areas pay for roads. Another option could be to create a Transportation Benefit District, but Lambert said this would only raise around $4 million each year. Additionally, the state is conducting a pay-per-mile pilot program to study the effects of using this to replace the gas tax as vehicles become more fuel efficient. The study was due to wrap up at the end of January with results being published later this year. This could potentially generate more revenue, but may also hit rural residents harder, who may have to commute for longer distances.